Our third manufacturing plant will be fully operational in Q1 of 2019 in Tulsa, OK. "This new site will help propel us into truly becoming a national supplier for our strategic customers," says Joe Raccuia, President/Owner of Morcon Tissue. 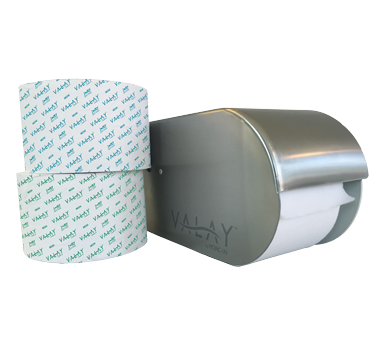 Featuring, one-at-a-time dispensing and quick loading, our ValayTM Dispenser looks great, and when paired with any ValayTM Napkin, it reduces waste and controls costs. 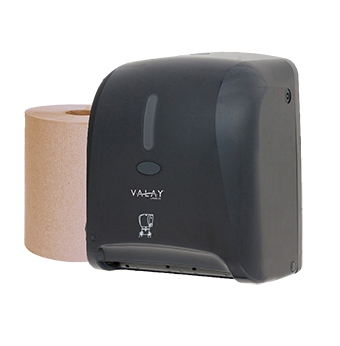 The ValayTM Towel system features 100% recycled fiber, white & kraft options, reliable hands-free dispensing, and a sleek dispenser that looks great in any setting. 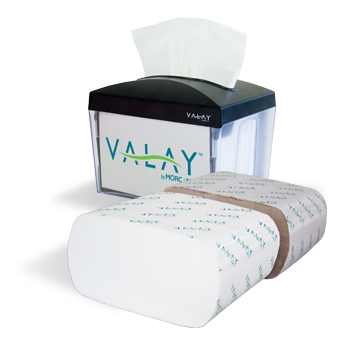 With available features like 100% recycled fiber, 1 and 2-ply durability and convenient-to-use dispensers, our extensive tissue line adds a touch of sophistication to an array of away-from-home environments. A leading converter of commercial napkin, towel, tissue, and specialty products for the Away-From-Home market. Napkin, towel and tissue designed with the food service industry in mind. Tissue and towel solutions for restrooms and industrial environments. Towel and tissue systems for the Porta-Potty and sanitation industry. Products that meet the high demands and standards of the healthcare industry. Paper products for hotels, higher ed and commercial properties.